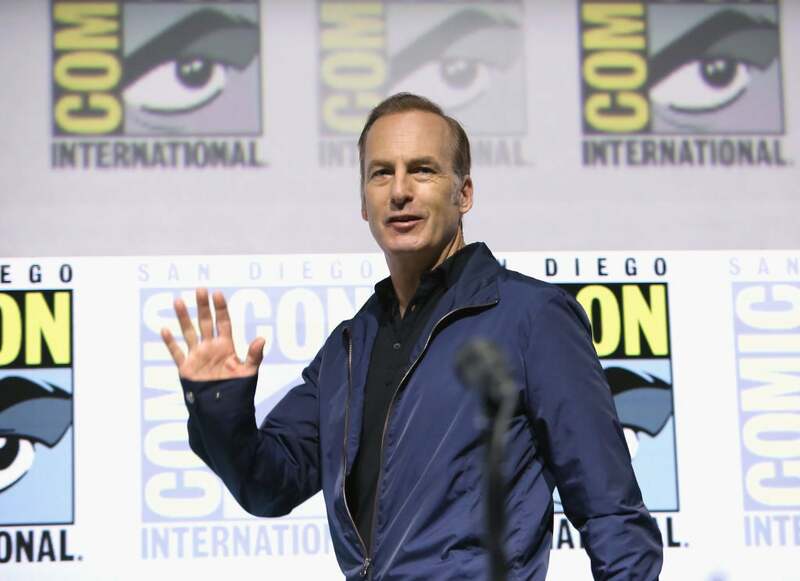 Going to Comic-Con this year couldn't have been a more rewarding experience for Bob Odenkirk. It started with a reunion with the rest of the cast of Breaking Bad in front of the cameras of the Conan show on Wednesday night, and then it continued the next day with the first panel in the history of Better Call Saul in Hall H. There, with a full house of 6500 people, he presented the first episode of the fourth season along with show creators Vince Gilligan and Peter Gould, and cast members Rhea Seehorn, Patrick Fabian, Giancarlo Esposito and Michael Mando. Right after, the excitement in the yawning, hangar-like auditorium reached fever pitch with the Breaking Bad panel reunion. To top it all off there was the premiere of the new season at the Horton Theaters in Downtown San Diego, followed by a wonderful party at the Andaz Hotel. It certainly has been a long road for Odenkirk who was called to play a part for four episodes at the end of the second season of Breaking Bad when he was better known for his work as a writer and comedian: "I could only do three episodes because I was doing How I Met Your Mother for one week and I was unavailable. And as a result of that, they invented the character of Mike so they could get that information. If you remember, Mike was sent by Saul, so there would've been no Jon Banks and no Mike, if not for How I Met Your Mother,” he told the HFPA on Thursday morning. The impact Odenkirk had on Breaking Bad was so huge that when it ended, the creators decided to launch a prequel in which the ambulance chaser – and the actor who plays him – have the starring role. Four years later, Better Call Saul, which will come back to AMC on August 4, is better than ever according to Bob: "We all were able to approach it with a confidence that we didn't feel necessarily in previous seasons. Because we know what the show is, now we feel comfortable and have fun doing it. We don't feel worried about whether I can do pure comedy for 10 minutes and then follow it up with a personal scene or extreme violence."